Campaigners fighting plans to build new homes in Little Common raised hundreds of pounds towards the cause by holding a recent quiz night. Spindlewood Development Action Group (SPINDAG) organised the event at Little Common Community Centre, raising £575. More than 70 people attended to show their support for the campaign group, purchasing raffle tickets for prizes donated by traders and individuals. SPINDAG was set up by Graham Stone in December 2016 in response to land off Spindlewood Drive being earmarked for 160 new homes, as part of Rother District Council’s Core Strategy, which sets out a requirement for at least 3,100 new homes to be built in Bexhill between 2011 and 2028. The strategy reveals a list of its preferred sites to accommodate new homes. Hundreds of people have written to the council voicing their objections since the plans were first made public. Piers Reed said: “The proposed development of 160 properties and the decision to run a through road between Barnhorn Road and Spindlewood Drive would add unreasonable pressure on the surrounding roads of Meads Road and Maple Walk. “These are small residential roads and in the case of Maple Walk, a narrow private road with no foot path. 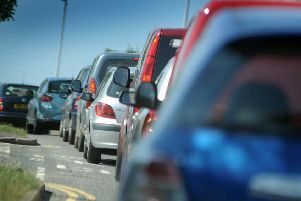 “The congestion on the A259 Barnhorn Road approaching Little Common roundabout will only be increased. To comment on the application, visit www.rother.gov.uk/planning by quoting RR/2017/1705/P.